Tenute Delogu welcomes its guests into elegant facilities immersed in Mediterranean greenery. Large and bright spaces with an entrance and independent services render our structure a magnificent location in which to spend the holidays. 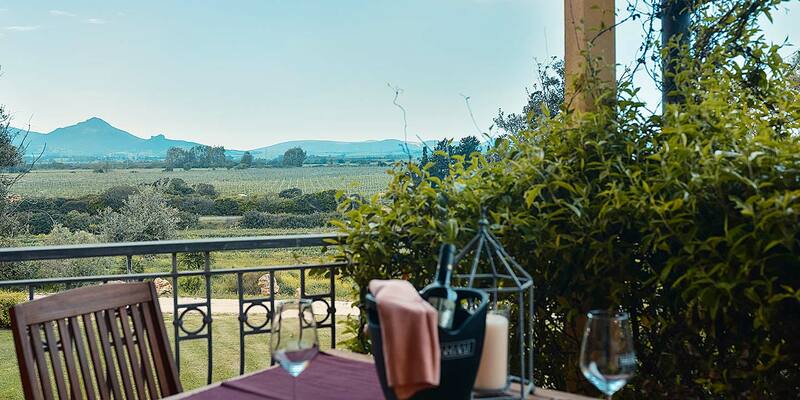 All the dwellings are surrounded by vegetation and offer a magnificent view of the vineyards or the swimming pool. 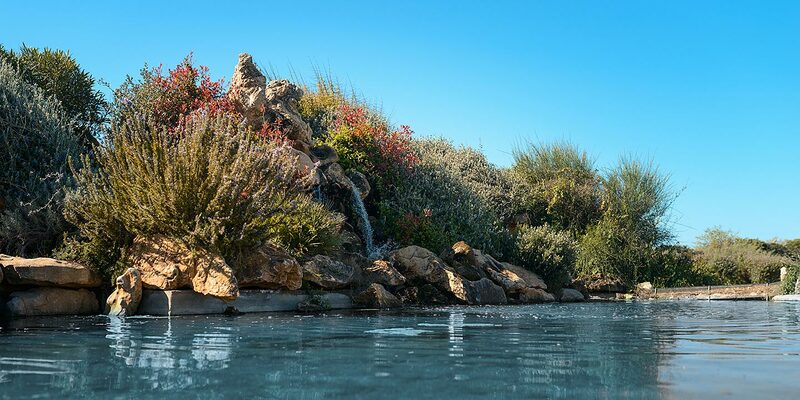 Our Wine Resort is designed as an oasis in which to immerse yourself in pure relaxation. The apartments are all newly-built and feature a veranda and independent entrance. The interiors have been designed to ensure relaxation and privacy, with a spacious living room and a fully-equipped and functional kitchen. Attention has been paid to every detail in the rooms, which are equipped with a private bathroom with shower. The areas within are all air-conditioned, equipped with LCD TV, fridge with freezer, hairdryer and free parking. 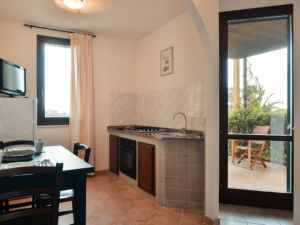 The proximity to the Riviera del Corallo and the short distance from Alghero and its airport render this the ideal place for holidaying close to the sea and the city. Book the room directly on our website and discover the exclusive conditions reserved for those who use our online booking system. Relax in the midst of nature thanks to the swimming pool equipped with sun loungers and parasols, surrounded by our Mediterranean garden. Our wine resort offers a reception service from 9:00 am to 7:00 pm to meet your needs. Throughout the hotel, a free Wi-Fi service is available to guests. 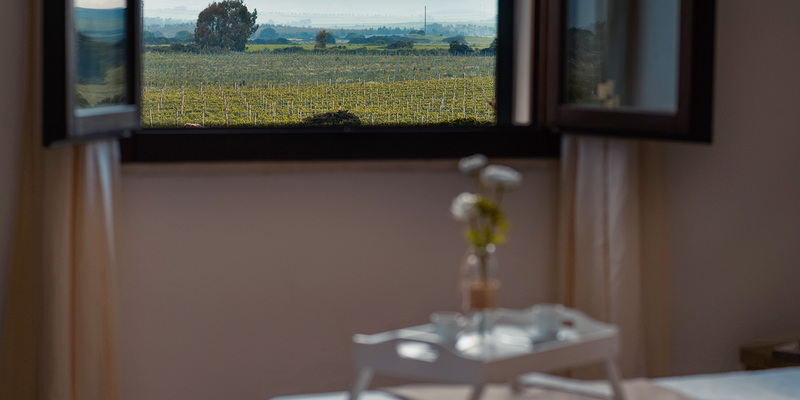 Our wine resort has different types of accommodation available to meet all needs. 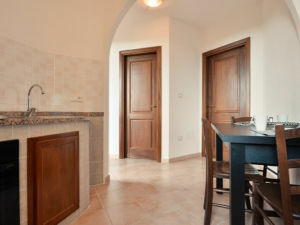 The apartments (double and family) have a private entrance with a furnished veranda. Each has a double bedroom (with two in the family apartments), a private bathroom, a living room with a sofa bed and a kitchenette. Both the double and family rooms come with a private entrance, a queen-sized bed, wardrobe and private bathroom. The family rooms also have two additional single beds available. All bathrooms are private and are fitted out with a toilet, bidet, shower and hairdryer. 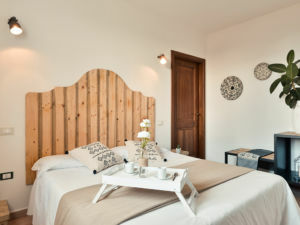 The rooms and apartments are all equipped with non-centralised air-conditioning for independent adjustment, a wardrobe, a flat-screen TV and bed linen. All accommodations include: LCD TV, private bathroom, towels and linens, air-conditioning, breakfast, linen change, refrigerator, hairdryer, 24-hour reception service and free parking. A large double bedroom with outdoor patio overlooking the garden. A spacious room suitable for 3-4 people with a double bed and two smaller beds. An independent apartment with a panoramic terrace. An apartment with garden surrounded by greenery. The cleaning services are reserved for the rooms and are available daily at a set time (08:00 – 09:30). The apartments are equipped with the necessary to provide cleaning and equipped with crockery. The pool service is available at no extra charge. Customers can book a free tour of the winery that leaves daily at set times (until the maximum number of bookings is reached). Parking and free Wi-Fi is available throughout the property. A set-menu lunch or dinner reservation is offered, featuring traditional Sardinian cuisine. For reservations made on the website, 30% of the total amount is required as a deposit. Reservations can be cancelled without charge, with the deposit thus refunded, only whereby the booking is cancelled 30 days or more prior to the planned stay.